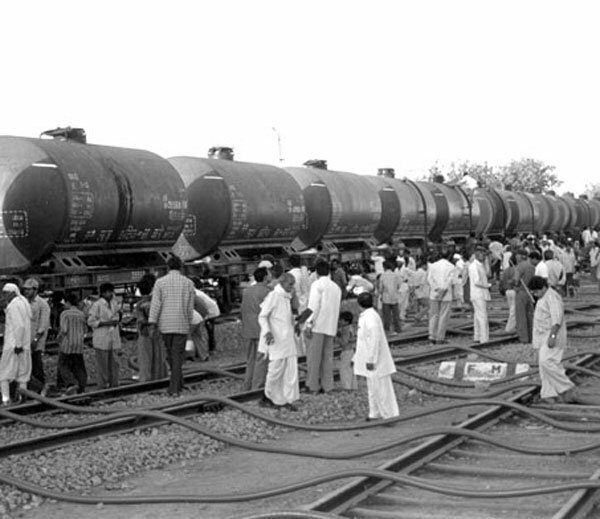 Earth Day and Indian Railways! Today is earth day. The day when we take pledge to protect earth from pollution and destruction. Not that we are that powerful. The mother earth is mighty enough to take care of not only herself, but she takes care of us too. But it's our ego that make us say "Today I take pledge that I'll protect earth from all the damages". Anyway, today you will see how Indian railway is contributing towards protecting earthly resources. Indian railway is known as lifeline of India. 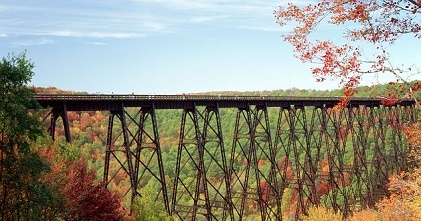 In fact there is a village whose life is dependent on railway bridge in India. Railway carries millions of people each day from one place to other in it's passenger and local trains. Not to forget the food and other essential commodities that are transited by railway from one corner of India to the other. The railways in India has come a long way. From the first train that ran on April 16,1853 between Bori bunder Mumbai and Thane railway stations, the Indian Railways has changed a lot, and people have many experiences, both good and bad. But this is the era of Metro Trains, and light metro trains. In the latest railway budget a provision of Rs. 8000 crore is made for the first phase of metro rail project between Bhopal and Indore. Thus we will see metro running in MP in very near future along with Delhi, Mumbai, Jaipur, Chennai, Bengaluru where the train is already running and rendering its services to the locals. In fact there is a demand among public to convert all passenger trains in India to metro trains. Once on a footplate I asked the asst driver where he'd disappeared.He mentioned he'd gone to the rear cab to pee! So next time you are hit by a spray by the window, it may not be just water :-)There was another case in Vijayawada where the TN express was delayed by 20 min because the chief driver had to go when he had to go!Most hilariously, in Salem, one asst. driver had to take a dump, so he used a coach on the adjacent platform. That train promptly took off. If you have some funny things to share with us related to railways, do send us. Thank You! Have fun! 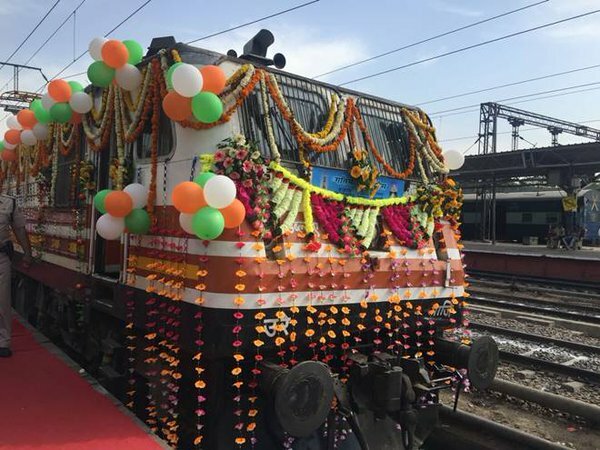 Special train package for those interested in touring Agra on India's fastest train Gatiman Express, which is on the run from last 2 weeks, is finally announced by IRCTC (Indian Railway Catering and Tourism company). As we all know Agra is a part of golden triangle in Indian touring circuit. Your visit to India is not considered to be complete without touring Delhi, Jaipur and Agra. While New Delhi is capital city, Jaipur is pink city, the city of Agra is world famous for the awesome architecture of Taj Mahal. All 3 cities are important part of Mughal era too. With this announcement of special train one can go for sight seeing in double quick time. This is because not only one can now travel fast on Gatiman Express but can also do tajmahal ticket booking online to see it. This saves plenty of time as both the tickets can be booked using IRCTC online ticket booking services. Flipkart.com is India's best website to buy wide range of products including Electronics, Books, Clothes, Accessories, Home furnishing and much more. Secure Login with Two Step verification Flipkart's login process is not only fast but it is also secure. The signing in process involves two step verification. In the first step your mobile number is verified, and in the second step an OTP (one time password) is send to you. login is successful when the mobile no. and password, both are verified. This makes it extremely secure. But then - How is Flipkart's login process is fast?